For over 90 years Gramophone has been the world's leading authority on classical music. Every issue is packed with over 100 reviews of the latest downloads, CDs, DVDs, and books all written by our eminent and knowledgeable panel of independent experts. 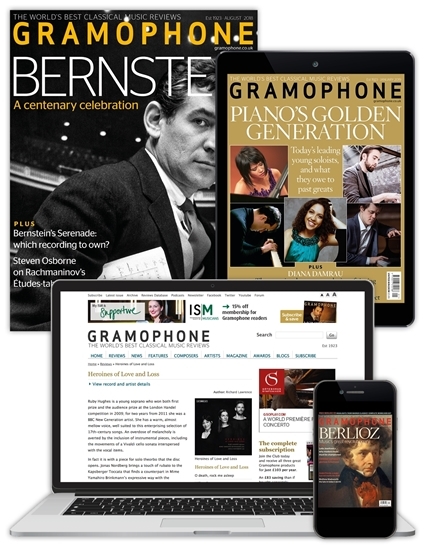 In addition to reviews, our interviews and features help readers explore on greater depth the recordings that magazine covers, as well as offer insight into the work of composers and performers. We are the magazine for the classical collector, as well as for the enthusiast starting a voyage of discovery.